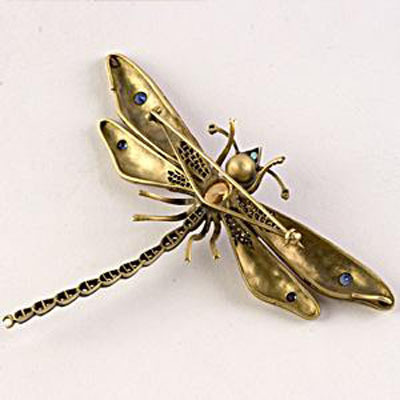 Dragonfly Pin - P2991 at Reliable Gold in Rhode Island Reliable Gold Ltd.
Exquisitely detailed, enamel winged dragonfly in 18k yellow gold. 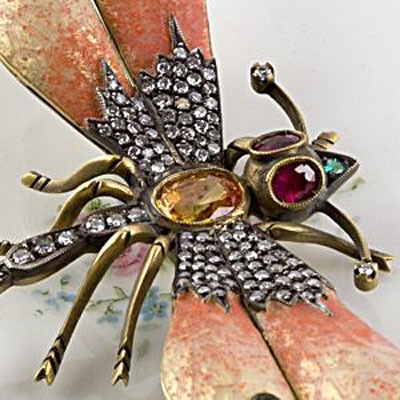 The wings and tail are encrusted with 1.28 cts of diamonds. 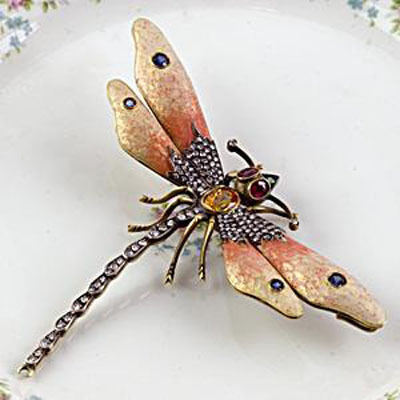 It has an 0.04ct emerald nose, 2.38cts of sapphires tip the wings and 0.71ct total weight ruby eyes. In addition, a 6 x 8 mm faceted citrine centers the wings.